This race will also be an interesting one, but I will go out on a limb and say that it will be less interesting than people think. This seat would normally be considered another Republican stronghold with a 13 point registration advantage but based on the results of the 2008 election I will hold off judgement until after 2012. Democrats have just a 6 point registration gap above DTS voters. In 2008 Democrats did have som major victories in the new AD 74 where Obama won and Proposition 8 failed. Incumbent Assemblyman Allan Mansoor currently holds this seat and his running for his first re-election. He is backed by the current Republican establishment along with most of the grassroots and volunteer organization. I have met Chad Morgan who is running his race and he is a nice guy. Leslie Daigle a Council Member/Businesswoman from Newport Beach who is running as a Republican. My interactions with her have never been pleasant. Robert Rush a Business Owner/Accountant who is running as a Democrat. The factors at play- Alan Mansoor has incumbency, name ID, and party affiliation on his side. I don’t buy the argument that his name ID is low in the new parts of the district thus making him vulnerable. The anti-incumbency vote will be split between Rush and Daigle but Rush has the advantage of being an alternative to a Republican for Democrats and DTS voters. Daigle has high name ID on Newport Beach, but I just think that most of the obstacles in this race seem to hurt her more than Mansoor or Rush. It appears that Daigle is not trilled with Rush being in this race, stay tuned for a press release from her that I will post in a bit. 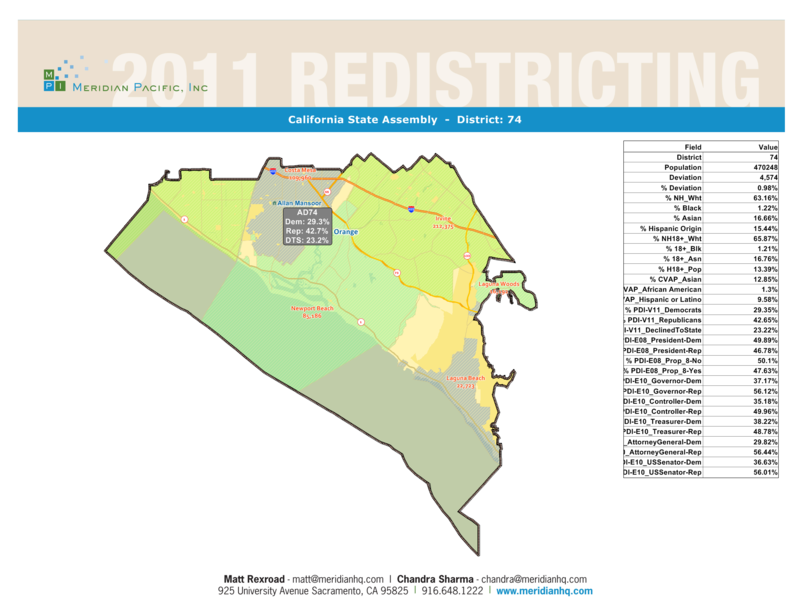 This entry was posted on April 18, 2012 at 11:22 AM	and is filed under 74th Assembly District. Tagged: Allan Mansoor, Leslie Daigle, Robert Rush. You can follow any responses to this entry through the RSS 2.0 feed. You can leave a response, or trackback from your own site.